If you are hoping to stay in Phuket only briefly, take a look at our Best 4 day 3 night holiday package Phuket no.1. After we pick you up at the airport where you can check in to your hotel and relax for the rest of the day. On Day 2, at lovely trip to Raya and Coral Island a swim and a snorkel. On Day 3 you have a full day elephant care program. 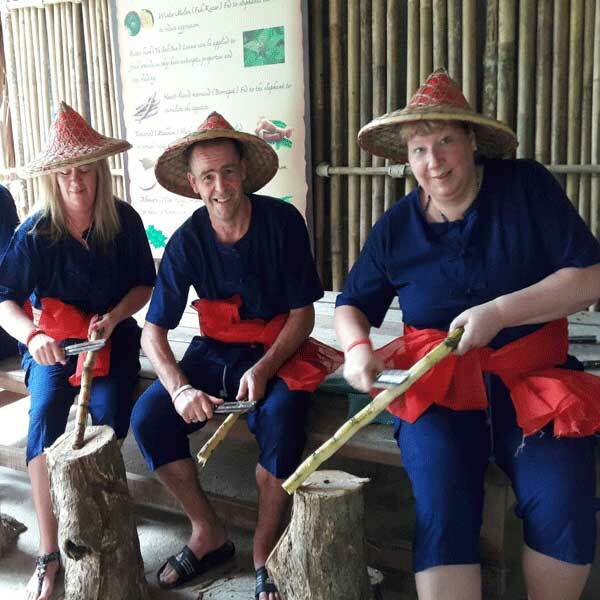 This is really an amazing experience, you wear traditional Thai clothing, you learn how to make the food for the elephants and feed them, they teach you all about elephants too. After the feeding you take the elephants for a spa, mud scrub and wash and get to bathe with an elephant. Then finish up on day 4 and back to the airport to catch your flight. We can make up so many variations of package deals for 4 days 3 nights in Phuket, so all you need to do is contact us with your requests. THE PRICES OF THIS PACKAGE ARE VALID ONLY FOR THE DATES LISTED, IF YOU ARE PLANNING TO TRAVEL OUTSIDE THESE DATES, PLEASE ASK US TO RE-PRICE FOR YOU. Pick up at Phuket International Air port and transfer to Hotel . – Our staff will waiting you at Phuket airport and transfer you to hotel by private car. One Day Trip Racha (Raya) & Coral (Hey) Island By Speedboat. – Morning breakfast at your hotel. Welcome lobby at Chalong Pier (tea, coffee and biscuits availble). 09.30 Departure from Chalong Pier to Racha Island. by speed boat. 10.30 Travel to Patok Bay or Racha Island, Relax and enjoy scenic bay view on the white sandy beach. 12.30 Depart from the tranquil Racha Island travel directly to the “Fun Island” (Coral Island), the place for exciting sea activities. 14.30 Relaxing time on the beach, Swimming, Snorkeling, Sunbathing and other sea activities at your leisure. 16.00 Prepare for departure to Phuket. 16.30 Arrive at Chalong Pier and transfer back safely to your hotel. One day trip Elephant Care. 07.30-08.00 am. Pick-up from your Hotel and transfer to our camp at Anda Adventure, Phang Nga Province (about 1.40 hours). 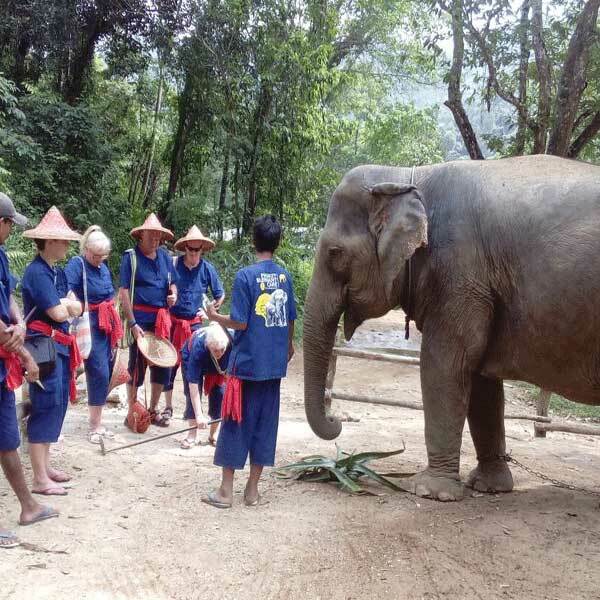 – Changing cloth to be a mahout and training a basic of elephant training course. – Meet the Elephant, interact and enjoy learning a basic of elephant about their behavior and history. – Enjoy cooking the food and Feed elephant, Playing together with the Elaphant. – Have a great Thai lunch, fresh fruit, tea and coffee..
– Enjoy Mud spa and bathing with Elephant. – Have a good time playing together with the elephant. – Take a break with tea or coffee. 17.00-18.00 Return back to the hotel. – Overnight at your selected hotel. Hotel – Transfer to Phuket Airport. *Restriction: No check out on 31 December and check in on 01 January. *Note : The itinerary and timing above are approximate and maybe modified without notice to fit the tide, local weather conditions and customer’s flight arrival and departure time. 3 Nights accommodation in Phuket with daily breakfast. One day trip Racha & Coral Island by speedboat + Round trip transfer. Private Airport transfer round trip, Airport – Hotel. Anything purchased at the hotel mini bar, or extra food or room service ordered or any drinks ordered.